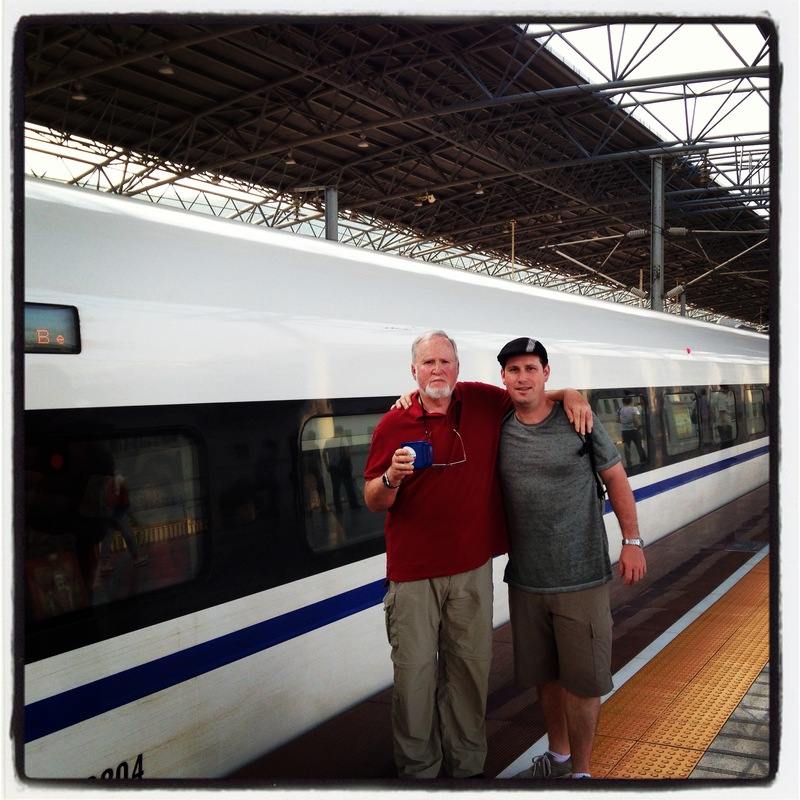 And this is it – the sixth and final part in an ongoing series about an epic voyage my father and I took on the fabled Trans-Siberian Railway in August/September 2013. If you’d like to start from the beginning, read Part 1, Part 2, Part 3, Part 4 and Part 5 first. Enjoy! More than 11,000km by rail under our belts, we stood at Hong Kong’s airport, bidding farewell after three weeks traveling together. It had taken us a year-and-a-half of planning to end up here and suddenly it was almost over. A vast expanse of varied landscapes and capital cities left behind, suddenly there was only one more connection to make – a plane home. 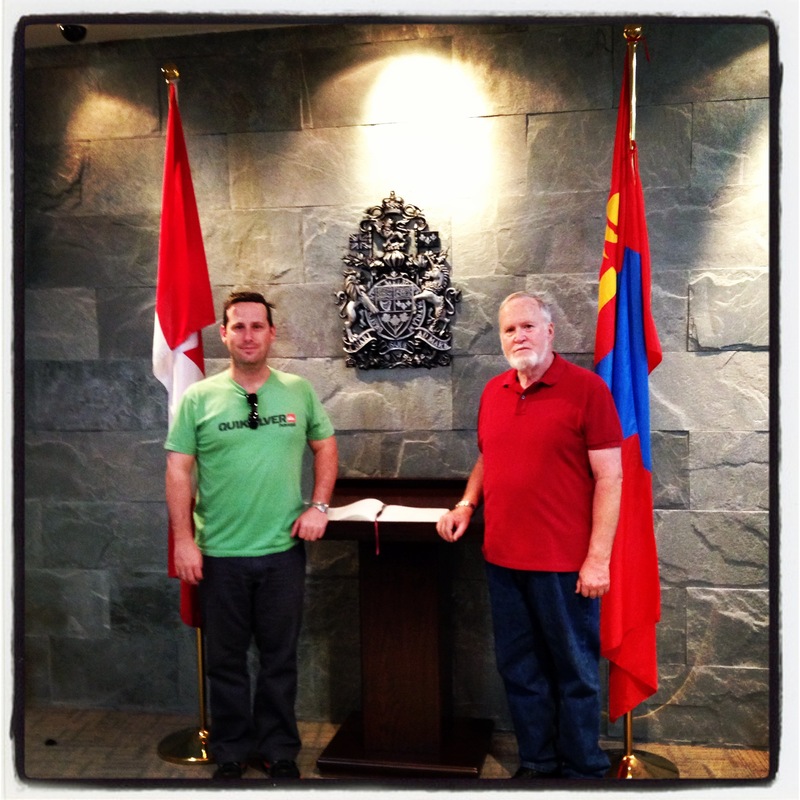 It was time to head our respective directions: my father to Vancouver and I to Kuala Lumpur. Our father-son journey had officially drawn to a close. At home three months later, while looking at a map of Asia, I can’t wrap my head around the fact that we actually rode trains from Moscow, clear across Siberia, through Mongolia, across China, all the way to Hong Kong. Most people don’t travel long distances this way nowadays. It’s not that long ago train was the only practical way to make such a journey; with planes radically transforming the way people travel in a very short period of time. By choice we opted for the slower and more traditional option to appreciate the landscape, immense distance and chance to experience it together. 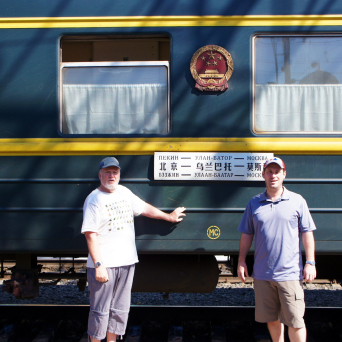 The Trans-Siberian Railway was on my father’s Bucketlist and I thought it would be a good chance to spend some quality time together. Having lived in SE Asia since 1999 (my father lives on Vancouver Island) we don’t see each other that often, so a prolonged period together was my main reason for jumping on board. If there were neat sites and people to be met along the way that would be a bonus – and boy there were. From Moscow’s landmarks, still cloaked in Cold War overtones, to Siberia’s never-ending, heavily-treed plains, the wide open expanse that is Mongolia, sleeping in round ger tents, strolling Beijing’s traditional hutong districts and blazing across China on a bullet train at 300km/hr, the journey was a classic father and son journey in every sense. Much more than the sites seen, the trip was about connecting with one another as adults. 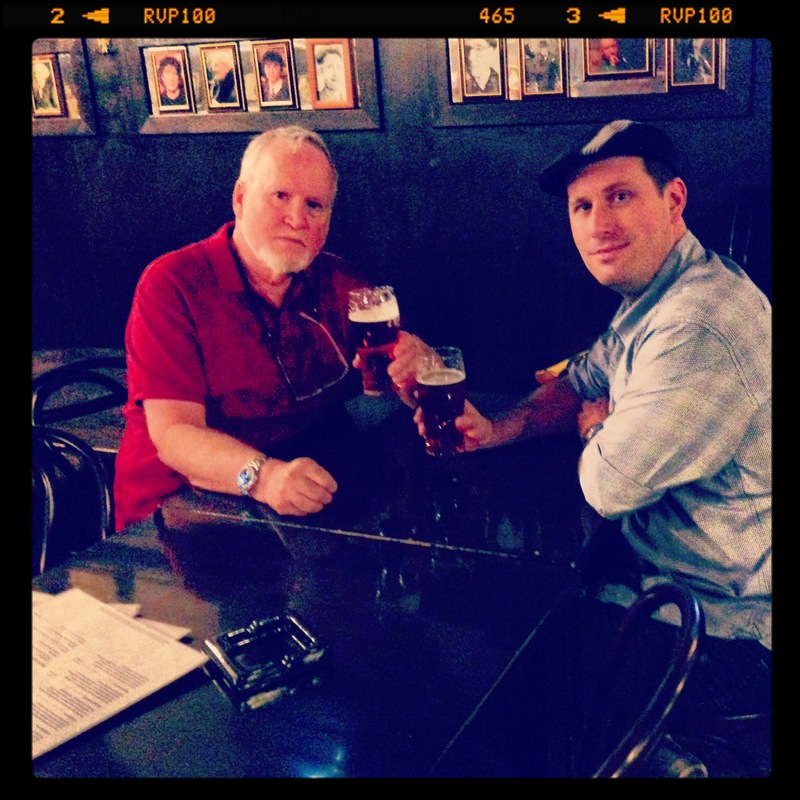 My father and I have always enjoyed a good relationship, an ability to talk about most things and are quite similar in personality. Even so I couldn’t have imagined how well we would actually get along on the road. I can’t think of anyone I’ve traveled with for even a week, let alone three, and not have at least one tense moment or argument along the way. We didn’t have one – notta – incredible! I can only attribute this inexplicable compatibility to being so much alike at our core. We seem to share a similar sense of humor, space, importance, scheduling and flow, which made traveling together a breeze. I guess it’s true: we’re more like our parents than we think, and I’m really pleased to have learned this along the way. Part of the success of our trip was setting expectations, or more accurately, not having many. I really had no idea what to expect beyond some cursory readings and just went with what was thrown at us. On the train we rented a two-bed cabin (bunk beds), the best you can get on the Trans-Siberian, but beyond that I had no idea how comfortable, or uncomfortable it would be. The cabin was comfy, certainly not luxurious, you don’t get to shower properly for days on end, and the concept of cabin fever is literally experienced along the way. The trip isn’t for everyone, nor is it exciting in the traditional travel sense. It’s more about passive exploration, taking in the landscape as it whizzes by. Ultimately it’s a rare opportunity to fully disengage from the connected world, enjoy lots of time for introspection and connect with another person. In many ways you could be anywhere in the world while on board, but being in a compartment with no option of escape provides an ideal disconnect from the typical distractions of everyday life. The point of this kind of trip is the journey – not the destination. Standing with my dad at the Departures area in Hong Kong International Airport, there was an uncomfortable silence. After three weeks talking, laughing, traveling and enjoying together, we were suddenly lost for words. I think neither of us wanted to say “goodbye”. I wasn’t tired of him and suspect he felt the same. While I’d had enough of train travel I would have loved to keep exploring together for another three weeks. Seems I found the best travel partner I’ve had, and I’ve had a good number of them. I can’t wait to hit the road together again and blaze new trails.